Celebrating 110 years since the Dutch rubber company launched, this informative and enjoyable brand film brings key moments to life. 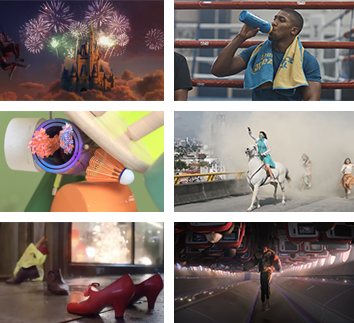 Q&As and behind-the-scenes info on the latest and greatest commercials, shorts and music videos. As the mobile network releases its surreal ode to democracy, shots caught up with Blink director Fred Rowson and the giffgaff team to hear more about talking iguanas and alternative worlds. New character and campaign helps Brits to have more fun with the sun. Framestore has worked with Idris Elba and the team at Sky on a number of occasions so knew the precise and detailed manner in which they like to work - something that helped efficiency throughout the project. From iPods to iTunes to breakthrough campaigns, “Think Different” to “Welcome Home,” Apple’s ability to tap into both original and licensed music elevates it to Hall of Fame status. Our weekly trawl of the world wide web brings you stories of social media refuseniks, black holes, new identities and gender-neutral gingerbread people. NERD’s Sharon Liu shares her concern and passion for the environment through two heart-warming spots for The Climate Coalition’s #ShowTheLove campaign. Cale has this rare talent of combining breathtaking imagery with close-to-the-bone storytelling. Monthly round-ups, technique focusses and entertaining showreels, curated by the shots team. Our monthly digital magazine, bringing you an indispensable look at specific territories, techniques and themes within the advertising industry. Think you have what it takes to put your work up against the best in the world? The shots Awards is ready and open for entries soon. Check out our regular screening night of the best unsigned talent.